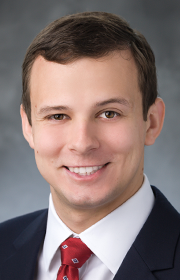 J. Mason Wleczyk – Tudor, Pickering, Holt & Co.
Mason Wleczyk serves as an Associate in the Investment Banking division. Wleczyk previously worked as a production engineering intern, then a reservoir engineer intern with Anadarko Petroleum Corporation. He holds a BS in Petroleum Engineering from Texas A&M University.